Marble is synonymous with elegance and is a favorite when it comes to flooring, fireplace surrounds, shower walls and countertops. It’s a chic and timeless element of classic design that will add an air of sophistication to any project. People greatly admire the bold veining that is characteristic of marble. Its pattern is larger in scale than stones like granite, which makes for a dramatic statement in large pieces like kitchen islands. 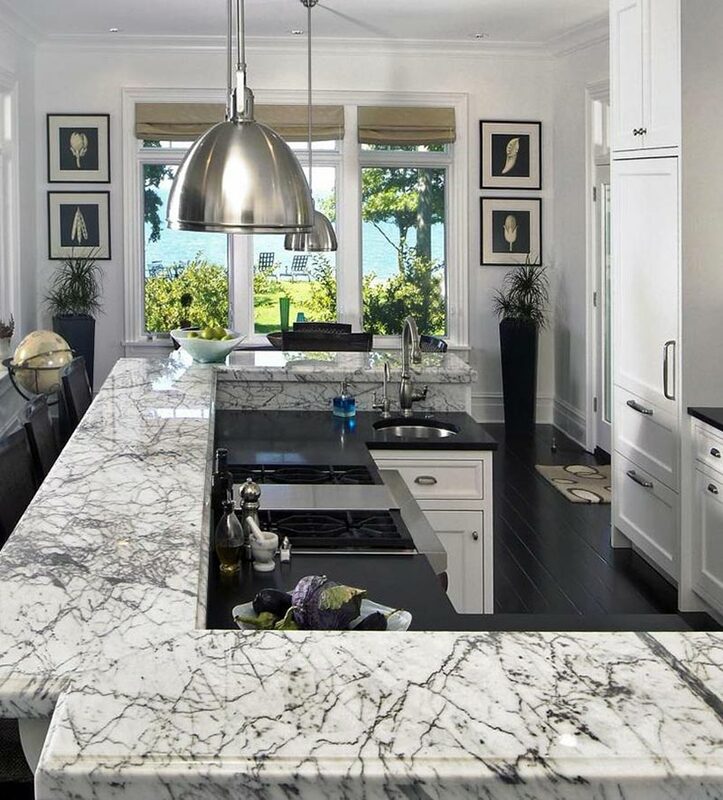 Marble is famous for its elegant white shades, though it is available in a range of colors. Marble is a porous stone and it will need to be sealed periodically. Almost immediately after installation marble may begin to show signs of patina. This adds to the unsurpassed charm and old world elegance of this exquisite natural stone.